Devised 21/9/2018 as simple teaching dance for corners pass and turn. I use this after teaching the figure in Strathspey time using Miss Leslie Cunningham. Note that there are no figures aside from completely straightforward ones. The name is to suggest that this is one all can do, and also for Muriel Johnstone's tune of the same name, played ABAB. 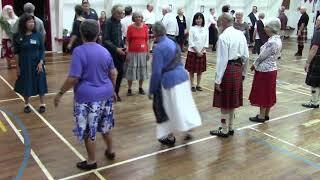 An excellent recording to use is \Clydeside Lassies" as recorded by Luke Brady in part 5 of Dances from the Miscellany, where Muriel's tune appears as the second tune. Added on: April 13, 2019, 2:38 a.m.